•Pre-owned 2017 LMIII amplifier in immaculate condition. The LMII now has a line out level control and new output limiting circuit for a more dynamic response, and new eq points. 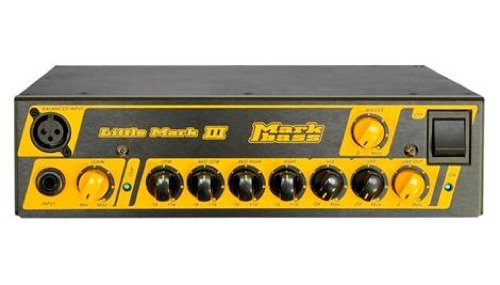 Fast becoming the new standard for compact bass amps, the Markbass range features the VLE (Vintage Loudspeaker Emulator) and VPF (Mid scoop, High/Low boost) tone shaping which gives you fast access to vintage tones and scooped mid tones, plus a very intuitive eq.